At the first glance, Rimal Ali appears to be an ordinary beautiful and stunning woman who knows how to charm and entertain the audience with her acting talent. But there is more than meets one’s eye. Her story is rather inspirational for the world. She is Pakistan’s officially first transgender who has appeared in the June 2018 release, Pakistani film titled: “7 Din Mohabbat In” with a promising cast of Pakistani actors. Her hard work and efforts have clearly paid off as she has revamped the image of transgenders proving they are no longer perceived as uneducated and illiterates. When speaking with her, you realise she is no ordinary transgender, rather a highly educated one who has a vision and strongly feels the dire need to do justice and give equal rights for the transgender community. Most transgender Pakistani’s do not fit the perfect fit of highly educated or pursuing real careers, but things have been changing for them slowly on a social and cultural level as they have taken steps to gain higher education and secure decent jobs. For starters, the Pakistani government has allocated them to specific roles, indicating they are making efforts to accommodate them as part of the rest of the society. Defining herself as a simple individual, down to earth; loyal to her work and always there to help people and most of all forgiving. Rimal’s journey has not been a smooth one. She has suffered profoundly since her own family disowned her from a very young age. A great deal of struggle and hard work has been a part of her life; however, it is her ambition which has kept her motivated to achieve her dreams. Being independent was important to her, so she could earn back her respect in Pakistan and get her family back one day. She is a born artist; her self-confidence helped her work as an actor and performer. 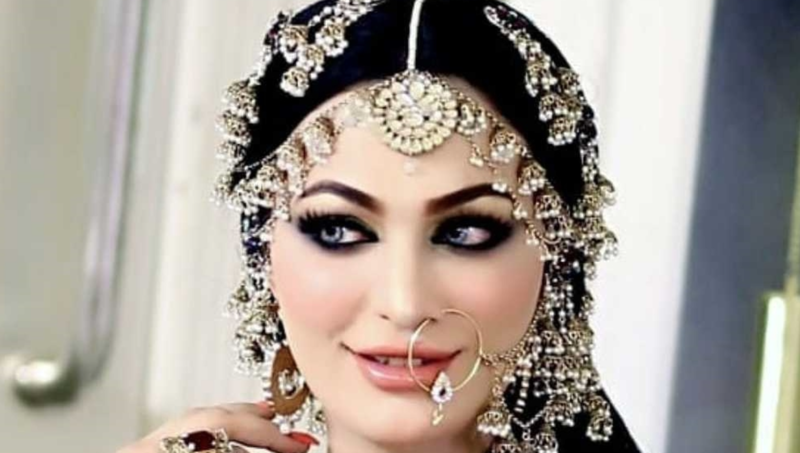 The level of scrutiny endured by transgenders in Pakistan is severe, they are continuously judged and feel isolated from the rest of the society when it comes to equal rights and opportunities to education and work. The number of transgender people killed daily in Pakistan has made it very hard for people like Rimal and others who would like to give a clean image to their community. When talking about making changes to the image, Rimal feels there are hardships ahead. However, she anticipates maintaining a strong willpower that shall help her fight for the rights of transgenders to bring a positive change.